Then there’s the case of a 2007 eBay auction of an extremely rare and valuable bottle of 155-year-old Allsopp’s Arctic Ale. The bottle was listed as “Allsop’s arctic ale. Full and corked with a wax seal.” Because of the missing “p” in the name of the brewing company, it was difficult for the search function to locate the listing; thus, the auction received only two offers and went to the winning bidder for $304.00. A few weeks later, the lucky winner relisted the ale with the correct spelling and the updated/better-written description, “Museum Quality ALLSOPP’s ARCTIC ALE 1852 SEALED/FULL.” After 157 bids, it sold for more than half a million dollars. Though one must acknowledge there will always be human error, what can you do to help minimize the mistakes and losses that poor content writing could cause? How can you ensure your content is accurate and effective? For effective and professional school communications, the answer is having a clear style guide for your district or school to follow. A style guide is a document that briefly defines the set of rules you expect your organization to adhere to. It includes your lists of do’s and don’ts. From logo design and color palettes to font styles and sizes as well as tone and voice, it’s imperative that your organization have clear guidelines so that they represent you exactly the way you desire. It may seem like a style guide is just “one more thing,” but not having one is not worth the risk. Especially for schools, a school style guide can have many benefits, not the least of which is consistency, which translates to professionalism. Everyone in your organization has a different style of writing. Some of us are verbose; some of us are conversational; a lot of us in this line of work are academic. For schools, especially school websites, we prefer a tone that is friendly and welcoming. Setting a tone and asking your staff to adhere to a certain style of writing creates consistency and congruency in your school communications. If you haven’t already, it’s time to define your style. It is especially important to know who you are and how you will represent your organization on your school websites. A well-written website with one, unified voice will tell others exactly who you are—caring and compassionate, proud and strong, fun and enthusiastic, etc. Conversely, a poorly-written website with punctuation errors and inconsistencies will also tell viewers a lot about you. Be sure your school communications portray your organization exactly the way you mean to. Will your company use the serial (Oxford) comma? How will you denote time and dates? What tone of voice will you use? 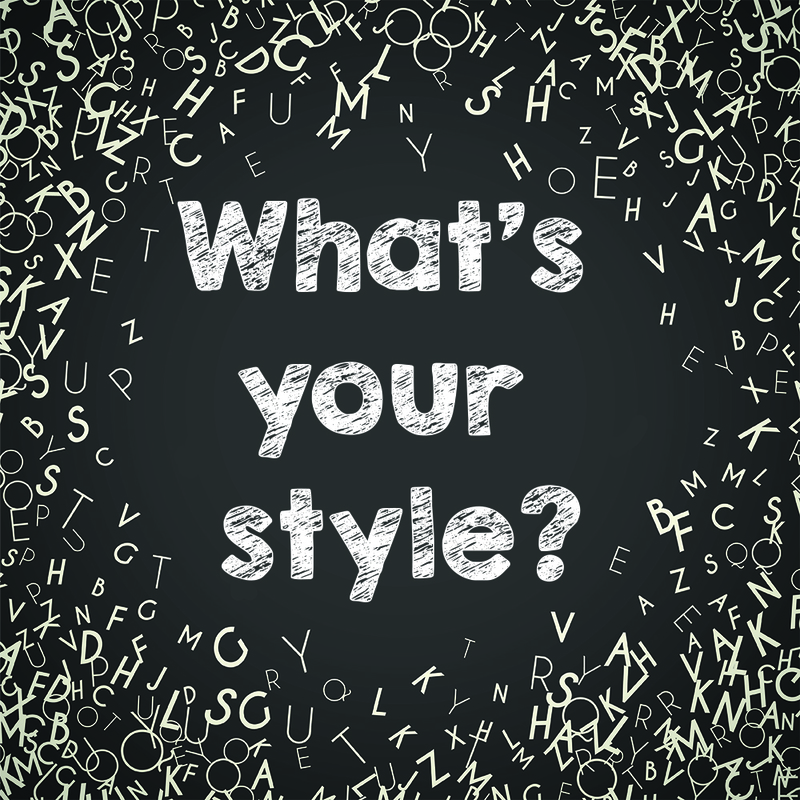 Since portraying a professional image depends on consistency of style, consider some of the following areas of writing that you should define in your style guide. There is great debate over the serial (Oxford) comma. We at School Webmasters adhere to the Chicago Manual of Style, which includes the use of the Oxford comma (inserting a comma before “and” in a series). We like it because it adds clarity. For example, consider this sentence without the serial comma: "My heroes are my parents, Superman and Wonder Woman." As cool as that is, it probably isn’t what the writer meant to convey. Defining the rules that everyone in your organization will use is important for clarity, consistency, and professionalism. Decide how the people in your organization will denote time in their writing and on your school website, consistently, in every communication they send out, and you will be another step closer to branding yourself as the professional organization you are. Instead of sometimes writing 10 am, or 10:00 AM, or 10:00 a.m., define the rules of style you want your organization to follow and specify it in your style guide. A phone call must be made to the front office by 9:00 a.m. on the morning of the student's absence. A parent or guardian must call the front office by 9:00 a.m. on the morning of the student's absence. Please be sure to call the front office by 9:00 a.m. on the morning of your child’s absence. A friendly tone, using the active voice, is an important communication skill that will garner your readers’ respect because you are showing respect for your readers. There are a lot of rules and styles out there. Some rules are hard and fast, but a simple Internet search will reveal that many rules of writing are subject to varying styles and opinions. The trick is to find what works for your school and be consistent so that you define your brand and present your organization with the professional yet personal image that best represents who you are. One of the major causes for website redesigns is that the current school website has become convoluted and disjointed. A lack of adherence to a style guide is one of the reasons for the chaos. Especially if your school is managing your school website in-house with a content management system (or CMS), all those differences in preference, style, and tone can water down your school brand, disconnect your message, and create a need for a costly redesign. We hope this gives you some food for thought. Feel free to take a look at another of our articles about getting on the path to writing professional content. Also, our School Marketing Toolkit includes a section that guides you step-by-step to help you create your own school style guide. And if the subject still seems a little overwhelming, let the professional copywriters at School Webmasters do it for you. Just give us a call.